“I can afford a maximum of Rs. 20,000 but her chemotherapy and medicine costs are just so high. This means she is in pain every minute that we delay the treatment. She cannot walk. She cannot get off that bed, and worst of all, she may lose that leg before she loses her life. Every day, my wife and I cry so much because we’re so poor and aren’t able to save our daughter." – Jagatnath, Sapana’s father. In 2017, Sapana thought that she bruised her leg while running around. The swelling never reduced in size but in the following months, her leg became extremely stiff. What was mistaken for an injury, could now end up taking Sapana’s life in a matter of weeks. “It was so hard. We just thought that her injury is getting worse but Sapana kept saying that she’s fine. 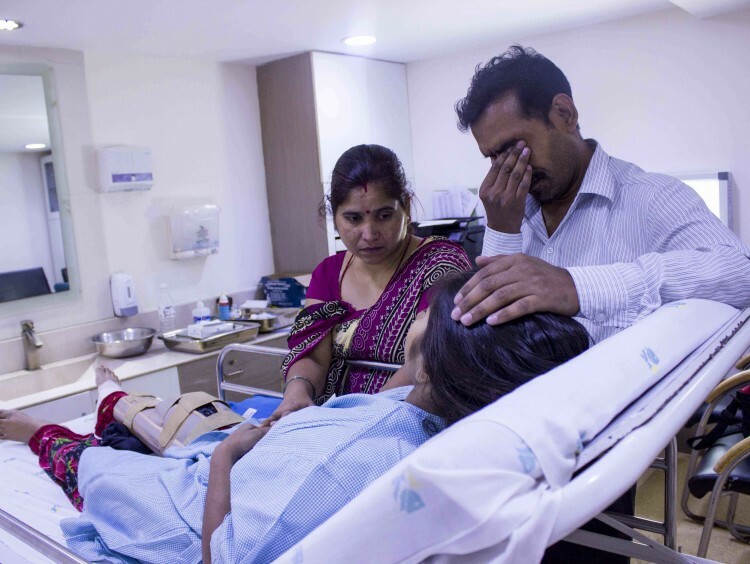 In March, a day after Holi, she fell down at home and broke her leg badly, right where it was bruised. Reports showed that she has a deadly form of cancer called Ewing's sarcoma that is already spreading in her body. We are not able to afford treatment because of which her tumor is growing, and she is slowly dying.” – Jagatnath. At first, Jagatnath was horrified because he was told that Sapana’s leg might be amputated. A second opinion offered hope. To survive, she needs 14 brutal cycles of chemotherapy immediately, followed by a surgery to remove the tumor. If this doesn’t happen soon, her cancer might spread necessitating amputation. As daily wage laborer in Noida, Jagatnath makes a small sum of Rs. 200 per day. With this, he tries his best to feed his wife, Anita and his 2 children, Sapana and 17-year-old Ravi. 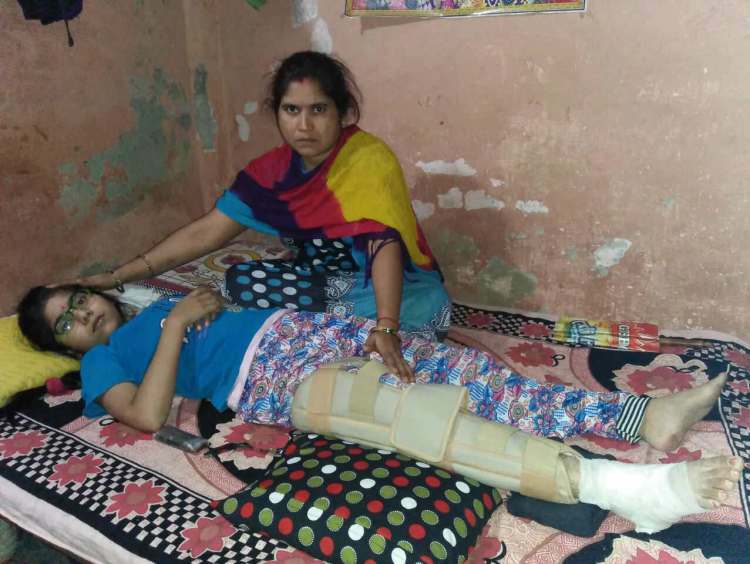 "Since her leg has broken, every day she keeps asking me when she’d be able to walk again. I don’t have the courage to tell her that I cannot afford even a meal, leave alone treatment to make her better.” – Jagatnath. 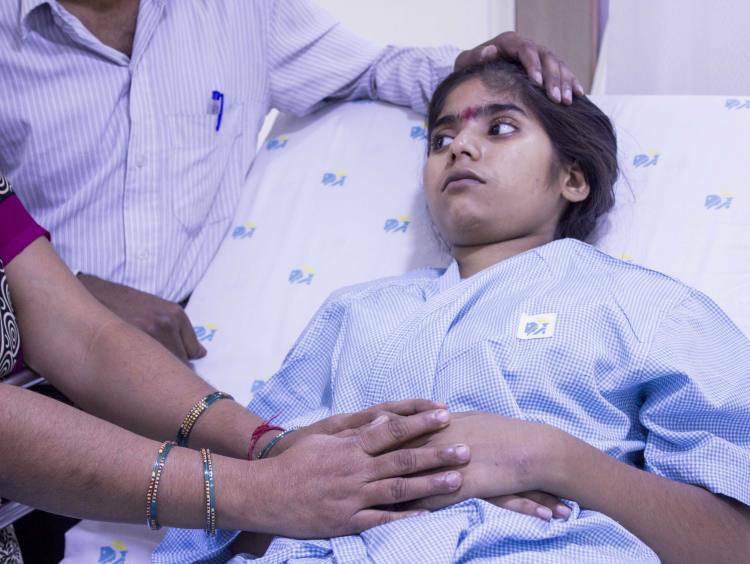 14-year-old Sapana needs to undergo intense doses of chemotherapy immediately before it spreads and kills her. Her father has already borrowed Rs. 40,000 for travel expenses to the hospital, tests, and a few medicines and but he is in urgent need of Rs. 10 lakhs to pay for more cycles of chemo, the surgery and radiation. Now, Jagatnath needs your help to save his daughter. “I just can’t afford the treatment. To feed my family, I work during the day. After work, I’m roaming from one house to another, crying at everyone’s doorstep asking for help. At night, I come back home and I just sit and cry thinking how I’m going to arrange for such a large sum. I can't sleep and I can’t even feed my family properly. We’re four at home and we eat a total of 7 rotis. Since the diagnosis, Anita and I can’t eat much. Just 1 roti and water. I feel that Sapana will die and I can’t watch her suffer so much. “ – Jagatnath. 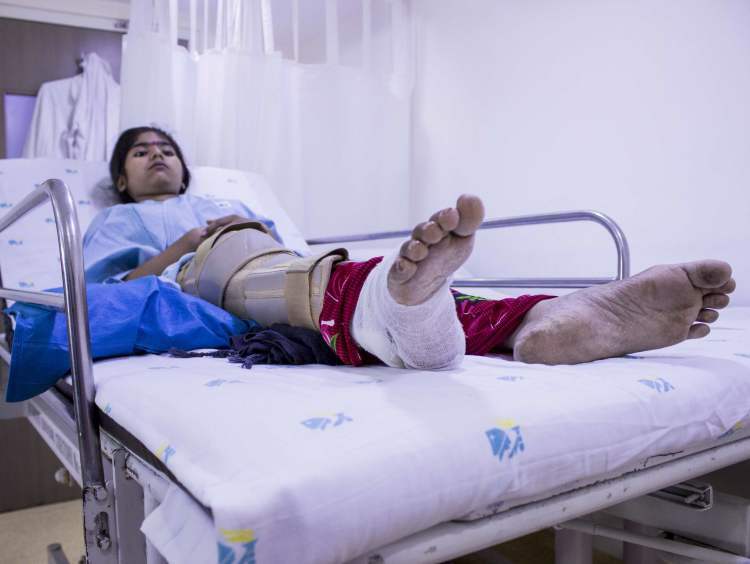 Your support will save 14-year-old Sapana's life, especially if she can keep her leg. 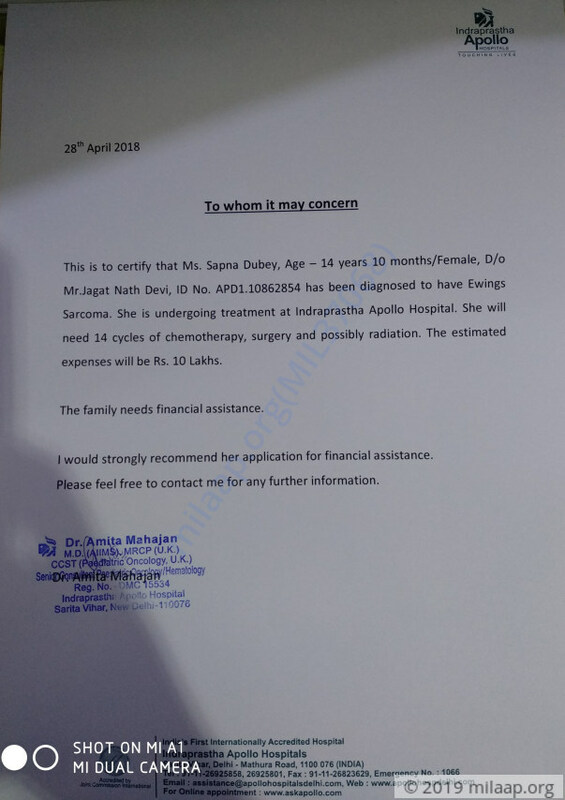 Sapna is continuing on treatment and is responding well to the treatment. She was taken up for surgery and the tumor was removed. Following this she has undergone the 5th cycle of chemotherapy. We would like to inform you that Sapna is cliniclly stable at the moment. She had to undergo amputation of the limb due as the cancer started spreading. She will be given an artificial limb and is with a walker at present. 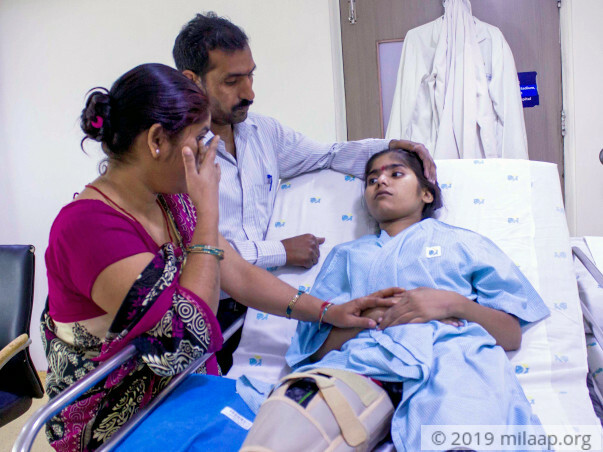 She is happy to get rid of the tumor which was giving pain and had increasing swelling and will need some time to rehabilitate further. We will keep you posted on her further treatment. Sapna is still on her 3rd cycle of chemotherapy and once she shows some signs of recovery she can begin her next cycle.